This letter was written by Private Charles H. Marcy (1842-1864) of New York City who enlisted in Co. K, 11th Massachusetts, on 13 August 1863. We learn from this letter that Charles had prior service in the military. A search of records revealed that Charles enlisted (April 1862) in Co. A, 12th Infantry (regular army) at Fort Hamilton in New York Harbor. Less than a month after his enlistment, however, a board of inspectors was convened to look over the new recruits and Charles was rejected due to lameness of the ankle he attributed to an old wound. Before he was drafted, Charles worked as a brakeman for the railroad. Though living in New York City, Charles may have been from New Bedford, Massachusetts, however as his name appears on the New Bedford City Council’s “Roll of Honor” listing those soldiers and sailors from the Greater New Bedford Area who were killed or died during the Civil War. It is also the location where Charles enlisted in the 11th Massachusetts. Company records suggest that Charles was drafted but his letter states that he enlisted. The strength of the 11th Massachusetts Infantry had been seriously affected by its participation in the battles of Chancellorsville and Gettysburg. With their new recruits, they were active in the fall campaign near the Rappahannock in October 1863, participated with loss in the Mine Run Campaign in the latter part of November, and helped cover the retreat of the army to its old camps near Brandy Station where it spent the winter of 1863-64. 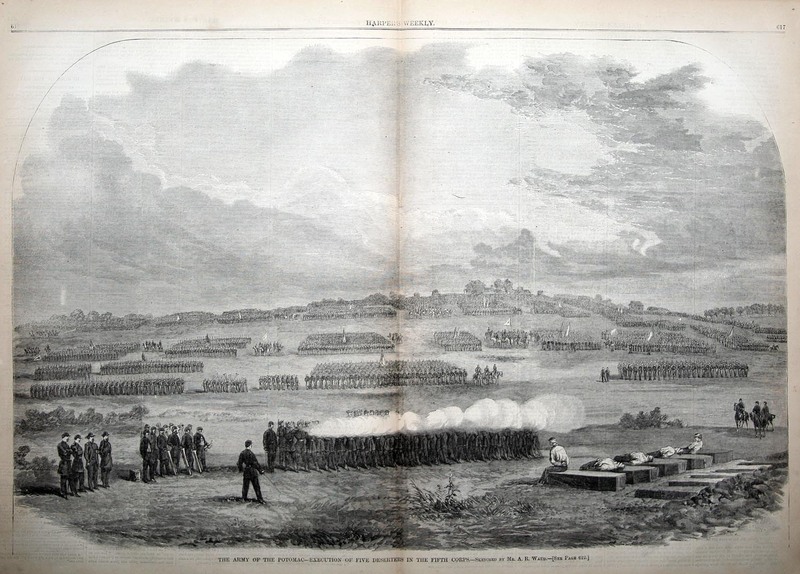 In the spring, the unit was made a part of Hancock’s 2nd Corps and participated in the battle of the Wilderness where Pvt. 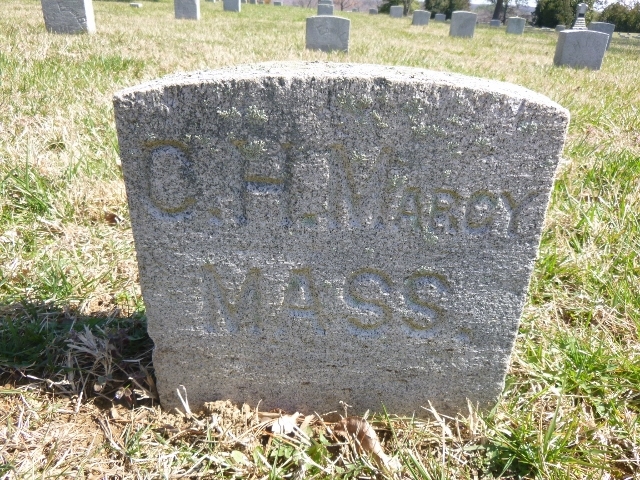 Marcy was killed in action on 6 May 1864 on the Plank Road. His body was initially interred in the Wilderness but was later moved to the National Cemetery at Fredericksburg. Widow’s Pension Records indicate his mother’s name was Harriet. Nothing further found. Being at liberty today, I thought I would write to you to let you know that I am under the care of Uncle Sam again. I enlisted at New Bedford, Massachusetts, the 14th of August & went to camp on Long Island, Boston Harbor, & on the 18th August, Tuesday evening left on board the Steamer Forest City ¹ for Alexandria & arrived there on Sunday 23rd being 4 days & 5 nights on the ocean. Left there about 1 P.M. & took cars, came to Bealeton Station about 6 & marched 9 miles to camp & arrived a little after 9 P.M. & camped on ground all night & the next day were mustered into company. I am in Co. K, 11th Massachusetts Regiment, 1st Brigade, 2nd Division, 3rd Corps under General Carr, Brig. Gen. French, Maj. Gen. Co. 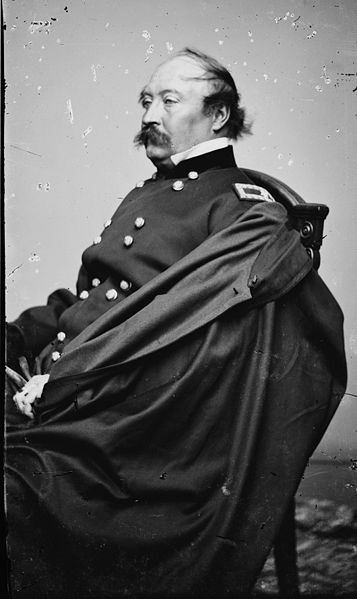 Corps., Gen. Sickles has the command when here & is expected as soon as able to come. We have our equipments but no muskets as yet, but will have in a day or two. We were mustered for pay last week & were out on a review Monday before [William Henry] French, who is an inferior looking general, yet he may be smart. We drill twice a day. Our camp is about 2 miles from the Rappahannock River & the Rebs are on the other side with pickets & ours on this. We can see them sometimes. 5 deserters were shot on Saturday last in the 5th Corps about ½ a mile from here. Our band went over & played. It was tough the boys said. I did not go over as I don’t like to see men shot in cold blood ² although while in New York [City] I saw a great many shot in the [draft] riots. I was there at the time — a tough sight it was too. There are no news to write you. I got a letter from home last night. They were all very well. Mother had had an attack of neuralgia again in the right shoulder but was getting better but was not able to dress alone. I am well & enjoy myself first rate. Plenty to eat & good quarters. Write soon. My love to Lib & your mother & I am truly your cousin. Co. K, 11th Massachusetts Regt. Vols. ¹ The Forest City was a 700-ton side-wheel steamer of the Boston Line.